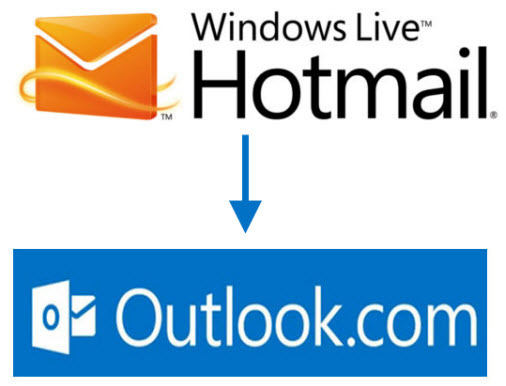 The boards are buzzing (and some Hotmail users are groaning) about the automatic move to Outlook.com. But for email marketers, is it hip or hassle? Think of this Microsoft move as more of an overdue upgrade than a blocker. And we have some info and tips to help ensure the continued success of your email marketing as some of your customers potentially transition to Outlook.com. Outlook.com allows your customers to create alternate email addresses without signing up for additional accounts (five a year, or up to 15 at any one time) like Google requires. This can lead to some confusion about unsubscribed addresses. 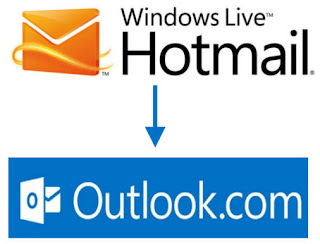 If a customer opts into your email communications with one address (for instance, "me1@outlook.com") and then creates another address linked to that account (for instance, "me2@outlook.com"), they’ll receive your emails at both addresses. Customers can also redirect merchant emails to specific folders (for instance, spamlike@outlook.com), where your messages may not get the exposure you’re hoping for. Re-check all of your active campaigns for a spam score. You should be doing this anyway, so it’s not something beyond the norm. Note: Even though Microsoft doesn't list any changes to spam filtering, the Bayesian databases from Hotmail may be merged with the rest of the Outlook cloud's databases. Outlook.com has special filters for viewing certain types of messages. For instance, your customers can now select “Shipping updates” for quick access to emails with UPS, FedEx and other tracking numbers for products they’re expecting from you. This will definitely be a bonus for your transactional emails. Deleted messages (emptied from trash) will still be available for an unspecified time, which can help with finding an accidentally deleted email. Whether it’s by accident or intended, your customers will have more time to rethink shifting your messages to the Trash bin. And before they make a final scan of its contents, your meaningful, targeted subject line could make the difference in their taking another look. Outlook.com links with Microsoft’s online storage service, SkyDrive, to handle large files. This now makes it seamless for your recipients in Outlook.com to get really big attachment files without having to go to an in-between web page to click a download link. This is sort of akin to how Gmail users can view embedded YouTube videos in their messages. JangoMail allows you to send large email attachments, but it is much more expensive, so we still recommend using a link in your email rather than a large attachment. If your email has instructions on how to whitelist your email, you'll need to update this to include the new Outlook.com. An Outlook.com user can click the "Add to Contacts" link to add you as a trusted sender or click the "Wait, it's safe!" link in the Junk folder. You’ll also need to test your emails for all existing campaigns to ensure that the formatting appears the same in Outlook.com as it did in Hotmail. Outlook.com could potentially mean better email deliverability, since address books will be shared automatically across Microsoft products. For transactional relay only users: If you have any rules running in your database to correct malformed email addresses, you'll want to add rules for Outlook.com. Like Gmail, Outlook.com will have "conversation" mode. So, if your marketing emails have the same subject line, newer emails will eclipse previous versions. Anticipate a tighter integration with Facebook – and potential for redundancy. If a sender address matches a friend’s on Facebook, then the latest posts or other information may appear in your recipient’s Outlook.com sidebar. Like the Outlook desktop app, Outlook.com has a preview pane. This feature won’t be enabled by default, but be aware it could be activated. This may potentially lead to very negligible, lower open rates, as it removes a step between arrival and open, which in turn discourages users from clicking on the "show images" button (since, in most cases, they can see all the pertinent content already). As always, the JangoMail team is here to answer any questions you may have about this or any other topic. Hit us up – we’re here to help!